If your organization is deploying a new server farm or cluster for any reason — a newly virtualized application or a growing business initiative, perhaps — this is the time to consider blade servers as a cost-effective alternative to traditional rack servers. In most use cases, you will find blade servers to be less expensive than rack servers for both the initial purchase as well as for long-term total cost of ownership (TCO). In addition, blades enable improvements in manage-ability, agility, scalability and power consumption. 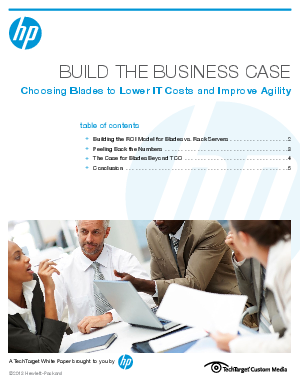 Download this whitepaper to learn more about how blade servers could impact your IT.